As part of a year-long programme to mark its 70th year in India, British Council is supporting the performance of Nubya Garcia, one of the most exciting talents in the UK jazz scene, at the Ziro Festival of Music, informed by British Council India Director Alan Gemmell. After meeting with Chief Minister Pema Khandu, Addressing a press conference Gemmell informed that ” this is the first time that British Council has presented a UK artist at the Ziro festival”. London-based saxophonist and composer Nubya Garcia and her band is the only UK band performing at the festival. 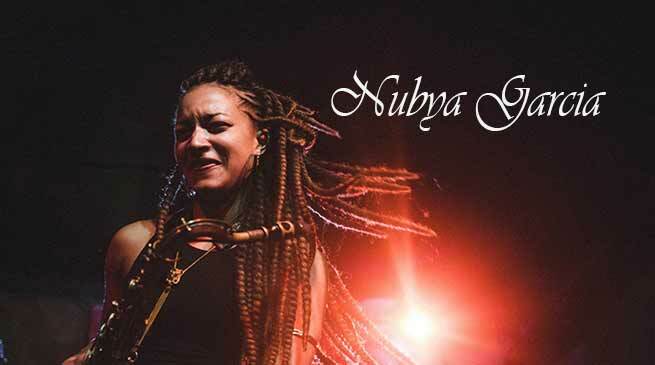 Nubya is an alumnus of Trinity Laban Conservatoire of Music and Dance, London, and one of the leading forces behind the resurgence of jazz-influenced sounds in the UK. Earlier this year, British Council launched Mix the City Northeast, showcasing 14 Northeast based musicians and bands, giving millions of digital audiences to enjoy their music. Recently, British Council awarded fully-funded scholarships to 100 Indian women to study STEM (Science, Technology, Engineering, and Mathematics) subjects at UK’s premier, higher education institutions. This included 6 women scholars from Northeast India, he informed. These scholars will be studying subjects in STEM fields including computer sciences; biological sciences; and physical sciences. The young women from North East would be studying in Heriot-Watt University, Liverpool Hope University, The University Of Sheffield, University of Glasgow, University of Reading and University of Southampton. Earlier this year in March, the British Council brought Premier Skills to the Northeast in partnership with the Sports Authority of India. In Guwahati, 60 coaches and referees from the eight states of Northeast India received expert training from qualified Premier League coaches from the UK, giving them the skills and support to develop their own community football projects. British Council’s global partnership with English Premier League, “Premier Skills”, builds capacity among community leaders and coaches through face-to-face football coaching, English language and leadership skills. There were 10 participants from Arunachal Pradesh – 4 girls and 6 boys. The British Council is the UK’s international organisation for cultural relations and educational opportunities. we create friendly knowledge and understanding between the people of the UK and other countries. We do this by making a positive contribution to the UK and the countries we work with – changing lives by creating opportunities, building connections and engendering trust. We work with over 100 countries across the world in the fields of arts and culture, English language, education and civil society. Each year we reach over 20 million people face-to-face and more than 500 million people online, via broadcasts and publications. Founded in 1934, we are a UK charity governed by Royal Charter and a UK public body.— ( As mentioned in press release ) .